With its quieter streets, ample temples, and friendly atmosphere, the capital of Northern Thailand is quite a contrast to Bangkok. Once you’ve explored its backstreets and marveled at its temples, travel south to Phuket to enjoy one of Thailand’s other most popular features: its beaches. A two-center vacation in Chiang Mai and Phuket is a popular choice, particularly among families looking to see the best of Thailand. Read on to find out what is the best way to travel from Chiang Mai to Phuket. What are the Options for Chiang Mai to Phuket? Although Phuket is an island, it is linked to the mainland of Thailand via a bridge, so unlike other popular beach destinations, you don’t have to worry about catching a ferry to get to Phuket. For tired travelers, or anyone traveling with children, this makes traveling to Phuket a lot simpler. The two options for getting from Chiang Mai to Phuket are by airplane, and by bus, but when considering which option is best for you remember that it’s a very long way from Chiang Mai to Phuket – about 1500 kilometers (937 miles) hence a bus will take a long, long time! Read on to find out exactly how long the bus from Chiang Mai to Phuket takes. Getting from Chiang Mai to Phuket by bus would have, in the past, been an extremely arduous journey because there were no direct bus services running between these two places. 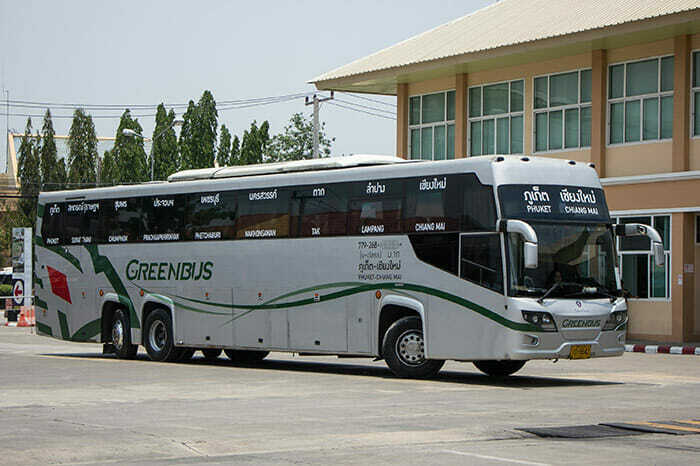 That changed a couple of years ago when Green Bus began offering a once a day, direct bus from Chiang Mai to Phuket. 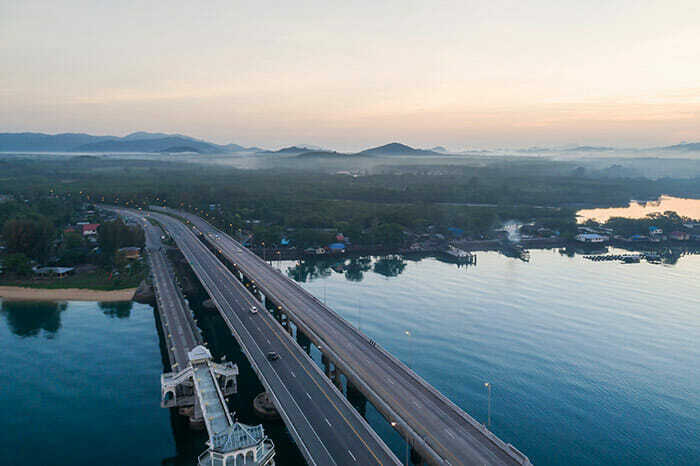 Being a direct service, taking the bus is a very convenient option because you get on at Chiang Mai and get off once you reach Phuket; there are no changes or lay-overs, and, as mentioned above you won’t have to worry about catching a ferry. But, the bus service is not without its drawbacks, the major one being the time it takes. It’s almost a whole 24 hours from Chiang Mai to Phuket by bus, so this is a long time to be cooped up in such a small space, and the journey can be made even longer if the bus departs late, which is something that’s not uncommon! Having said this, Green Buses traveling this route are stated to be modern buses with modern conveniences such as a toilet, TV. Steward service, air conditioning, and snacks, and of course, the bus will stop several times along the way to allow passengers to get off and stretch their legs. The one departure per day leaves at 12:30pm from Chiang Mai Bus Terminal 3 and arrives at around midday the following day at Phuket Bus Terminal 2. A couple of advantages with taking the bus over a flight are that it’s cheaper – depending upon which airline you choose, and which time of day you travel, you should be saving half (if not more) on the cost of an airplane ticket, and the second advantage is that you get to see far more of Thailand when traveling by bus. This includes the beautiful Thai countryside, and, you’ll pass through Bangkok which gives you a taste of this sprawling and bustling city too. Because of the immense time that it takes, going by bus from Chiang Mai to Phuket probably wouldn’t suit someone who does not like cramped spaces, nor would it be good for families with younger children who will be quickly bored on such a long journey, However, the cost savings cannot be ignored if you’re traveling around Thailand on a budget. Unless you are traveling on a tight budget, catching a flight to Phuket from Chiang Mai seems like a far better option than wasting an entire day on a bus! A flight from Chiang Mai takes only around 2 hours, so, when you add in the time at each end and transfers to and from the airport, it is still significantly faster than taking the bus. There are three airlines to choose from as well, so there is some competition when it comes to ticket prices. As always, book your ticket as far in advance as you can to get the better deals on pricing, and if you are a little flexible as to the day and time of day that you travel, you can usually get a better deal as well. For example, the early morning flights and late evening flights with Thai AirAsia are often among the cheapest, while flying in the middle of the day is generally more expensive. Thai AirAsia is just one of the airlines offering flights to Phuket from Chiang Mai; the other two are Bangkok Airways and Thai Smile. Bangkok Airways will often be the most expensive but, seeing as both Chiang Mai and Phuket are secondary hubs for this airline, you should be guaranteed a good service between these two destinations. 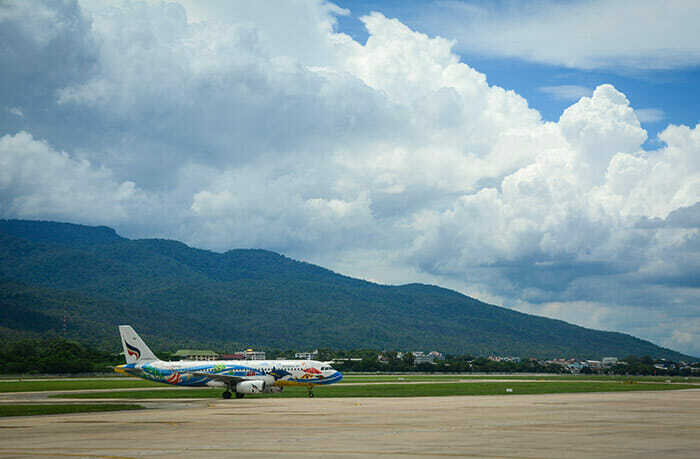 The nice thing about Phuket International Airport is that it recently benefited from a major expansion and renovation so that it could handle almost double the number of passengers. Getting from Phuket Airport to your hotel, or to Phuket Town, is easy as there are numerous transport options. These include the municipal airport bus which is air conditioned; a shuttle bus direct to Patong Beach; metered taxis; and a shared minibus that will take you right to the door of where you want to go. These are cheap and they are faster than municipal buses. So, unless you really want to see most of Thailand from a bus window or you need to save your money for future travels, buses really are not the best way to get from Chiang Mai to Phuket. A flight may cost about double, but considering that it only takes 2 hours, many travelers agree that it’s worth spending the extra and getting to Phuket much faster!